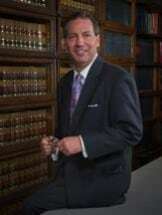 Attorney Gene D. Adams, Jr., focuses primarily on the practice of family law, personal injury and criminal law. He has over 20 years experience as an accomplished trial lawyer and has a well earned reputation as an aggressive, competent and ethical attorney who knows his way well inside the courtroom. Gene was born in Osceola, Arkansas in 1965 and raised in nearby Beebe, Arkansas. In 1987 he earned his bachelor's degree in business from prestigious Rhodes College (formerly Southwestern University in Memphis). Gene attended law school at the University of Arkansas at Little Rock and was admitted to the Arkansas Bar in 1991. He began practicing with Ben Rice who established the Rice Law Firm in 1964, and in 1997, Gene became the managing attorney of the Rice, Adams & Woodruff which he continues to manage today. Gene's busy practice encompasses the entire State with his day to day practice primarily in the counties of Pulaski, Lonoke, Faulkner, Saline and White.